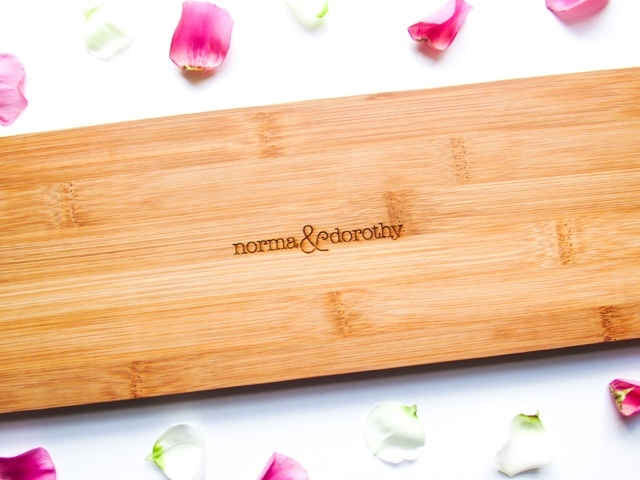 Personalised Floral Wooden Serving Board from norma&dorothy (£25) - Personalised gifts are always that extra bit special and norma&dorothy have a beautiful range of wooden and slate boards/coasters that can be completely personalised. 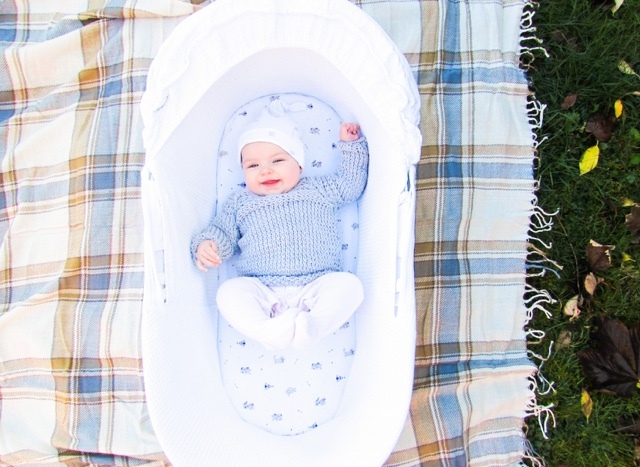 They have an extensive choice of different designs to choose from, including floral, banners, botanical, hearts, calligraphy, maps, Christmas and bunting. You can then add your own choice of words to make that extra special present for a lucky someone. 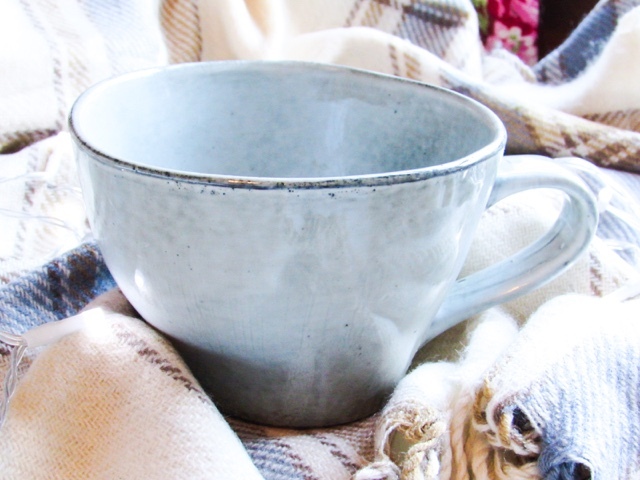 They have these thin wooden board or larger ones with a handle, as well as beautiful slate serving boards and coasters, something for every house. 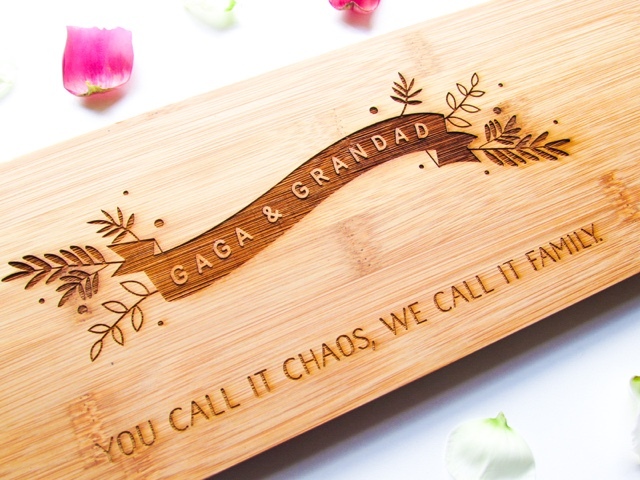 The serving board below is actually a 'New Home' gift, but as you can see I have personalised the names in the banner (to Isabella and Poppy's Gaga (their own twist on Grandma) and Grandad) and added a popular family quote underneath the banner. I love that these can be beautifully presented within the recipients house, if they're anything like me it would become a decorative piece as I wouldn't want to risk ruining the board! 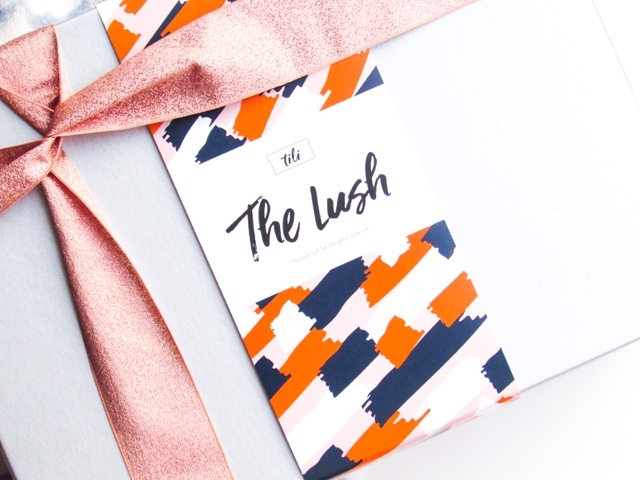 The Lush Box from Thanks I Love It (£29.50) - I absolutely love the concept behind Thanks I Love It, two best friends started the business and have put together a stylish collection of gift boxes suitable for every occasion. 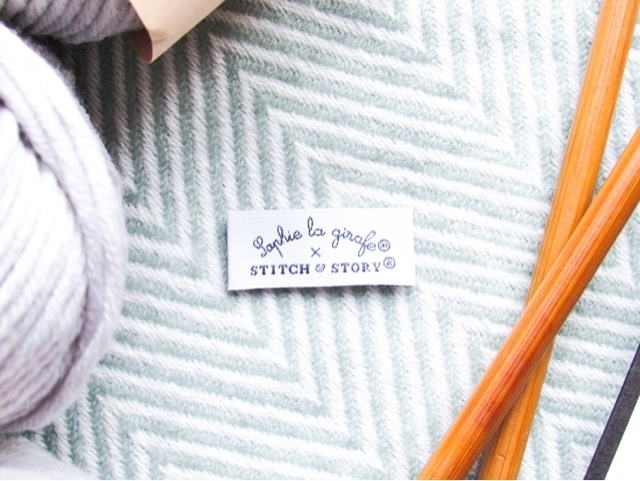 They not only support independent designers and makers, but also put profits back into charities and communities. 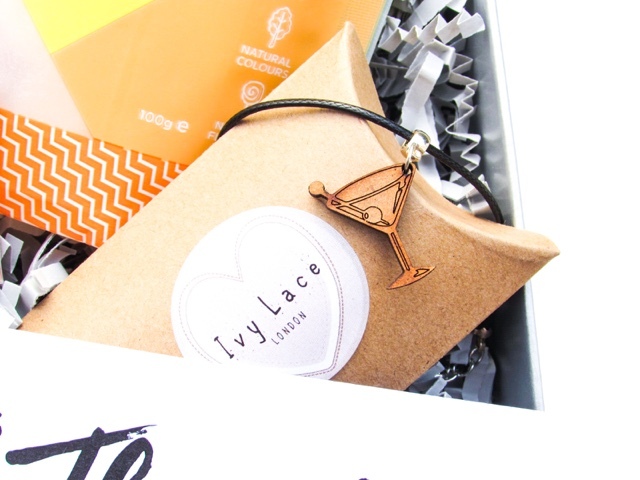 The Lush box contains Sweet Cecily's Prosecco Cocktail Lip Balm, SugarSin Fizzy Prosecco Gummies, Ivy Lace London Martini Glass Charm Bracelet, Meri Meri Paper Drinks Straws and a Tili Gym? I thought you said Gin! Cotton Tote Bag. 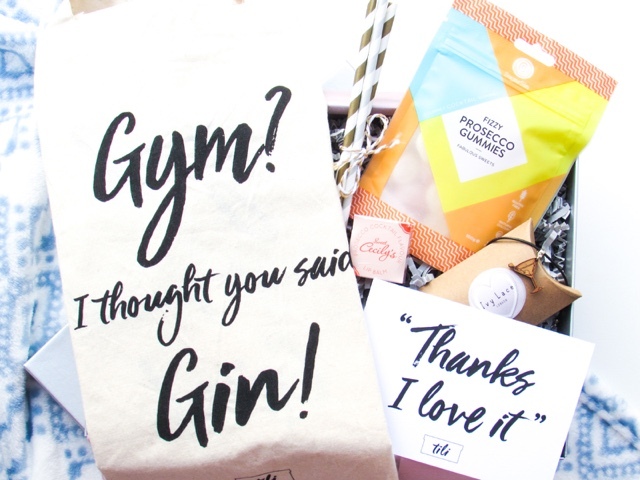 As the contents of The Lush are all focused around gin and prosecco, it would make such a thoughtful gift for that gin/prosecco lover in your life. 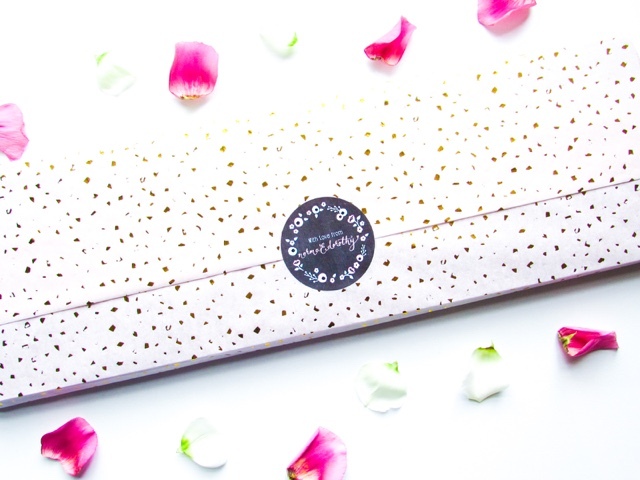 It comes beautifully packaged up in a silver box and if you fancy making it extra special you can pay a bit more to add a Christmas twist to the gift wrapping. For an extra £2.50 you'll get a handwritten Christmas card, snowflake sprinkles and a rose gold ribbon, which you can see below. 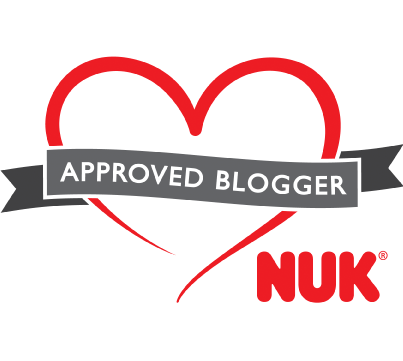 When you go on the Thanks I Love It website there is an option to sign up to their newsletter and you will receive a 10% discount, so well worth doing before making a purchase. 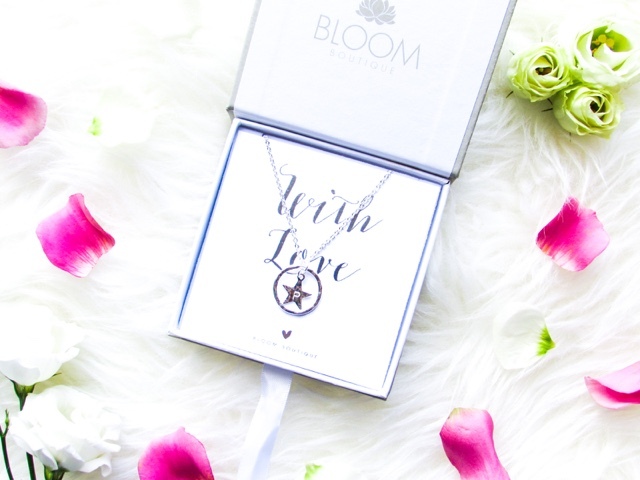 Personalised Halo and Hammered Star Necklace from Bloom Boutique (£18) - Bloom Boutique have the most stunning range of personalised necklaces, bracelets, earrings and accessories. Every piece is so delicate, with stars, hearts, discs or bars the focus of many of the designs. 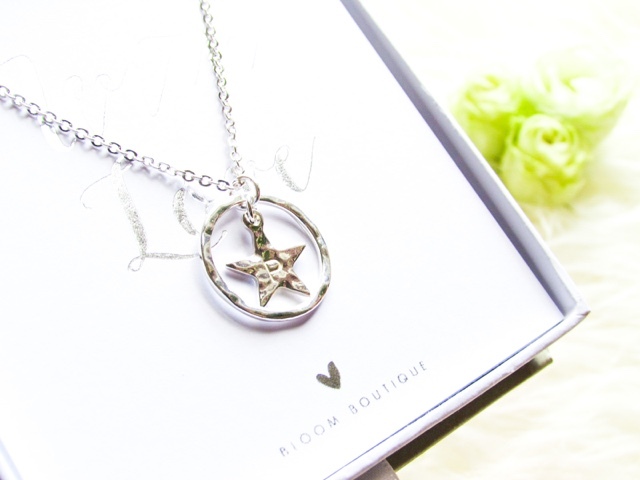 There are jewellery pieces suitable for everyone on their website, including this beautiful personalised Halo Star Necklace. It would make a very thoughtful present for a friend, family member or child (you can have either an adult or child's necklace size). This is going to be for Poppy, as her first Christmas present. I'm going to take a picture of her wearing it this Christmas and then give both the necklace and the photo to her again when she's old enough to wear it. You can choose between silver or rose gold for both the halo and the star, so you can having matching or different colours. 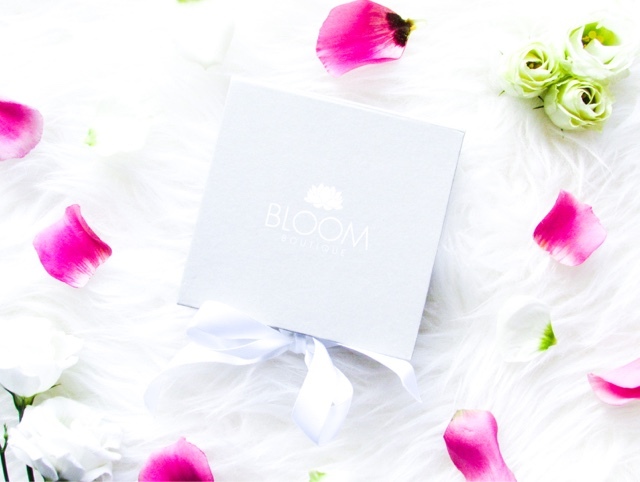 I really like that about the jewellery from Bloom Boutique; not only can you personalise with initials, but also choose your desired metal too. To make a gift extra special you can also add a gift box and message from a wide variety of choices, including With Love (seen below), True Friends, Have a Sparkling Christmas and A Little Thank You. 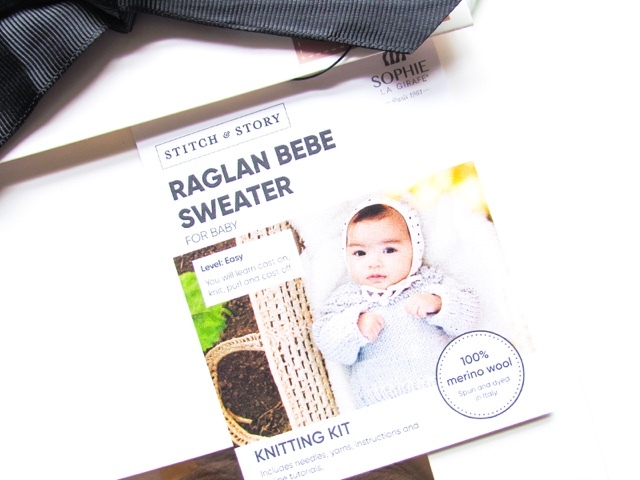 Sophie La Girafe Raglan Bebe Sweater from Stitch & Story (£37.99) - Knitting is something that may be associated with the older generation, but that is a thing of the past! 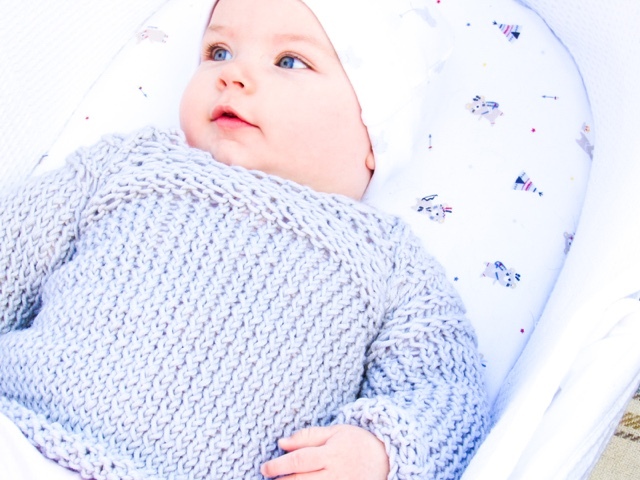 It is such a useful skill to learn and when it comes to baby clothes is there anything cuter than something hand knitted? Prior to receiving this Stitch & Story Sweater set I hadn't knitted since trying to achieve my knitting award at Brownies. 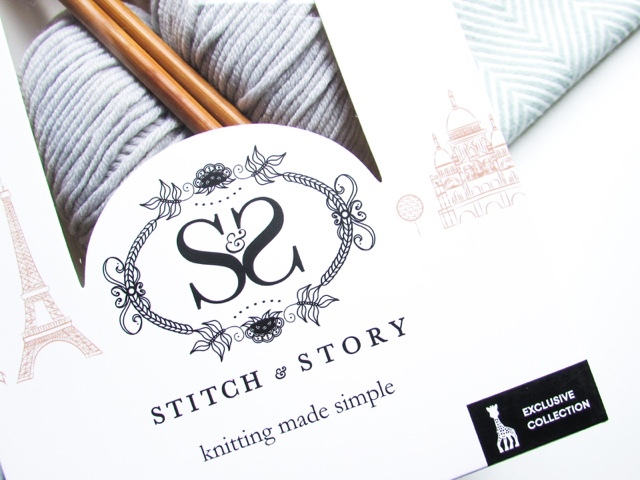 It is fair to say I was a complete beginner and was surprised to see that this set was graded as 'easy' on the Stitch & Story website. However, I was surprised how easy and quick it was to pick up the knitting techniques needed to make this sweater. 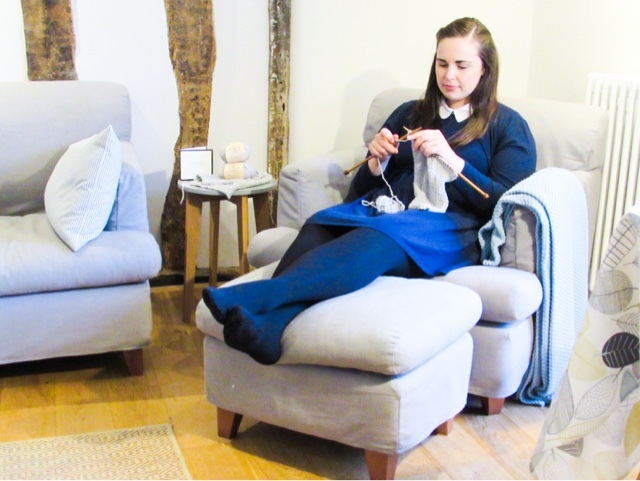 Knitting is such a calming activity and therefore ideal for anyone you know that is in need of a bit of relaxation. 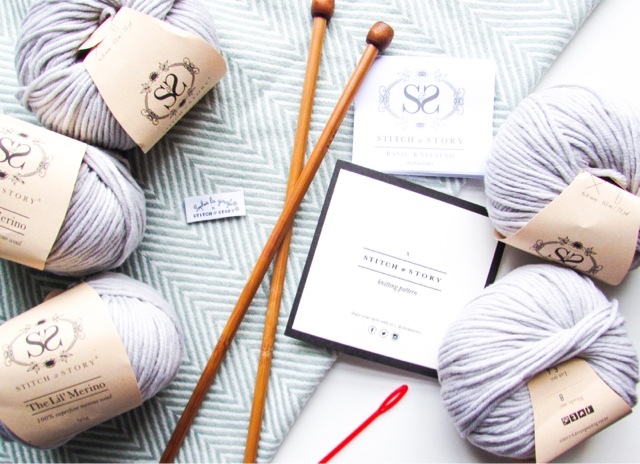 Learning a new hobby is always such a satisfying thing to do and the fact that this set contains everything you need to make the sweater makes it the perfect gift option for a beginner. 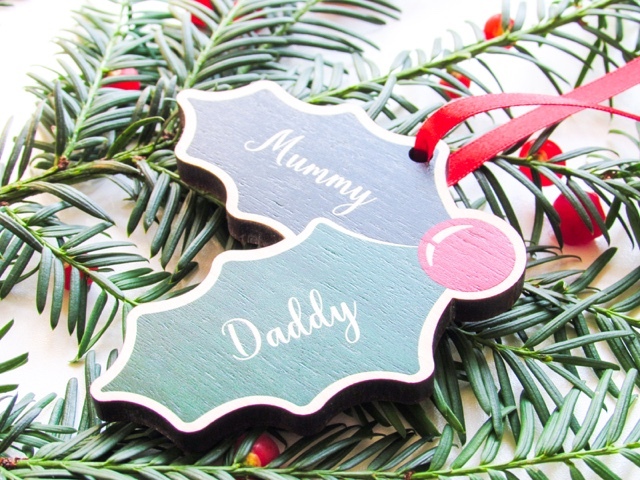 Personalised Couple Wood Christmas Decoration Holly from creategiftlove (£10) - Adding something personalised to the Christmas tree is so special and a gift that can be enjoyed year after year. 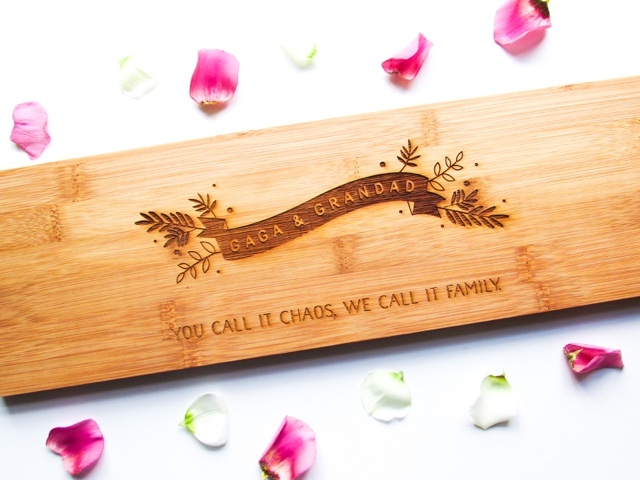 Creategiftlove had a wide range of gifts that can be personalised, including purses, bags, photo blocks, keyrings, bookends, coasters and magnets to name a few. 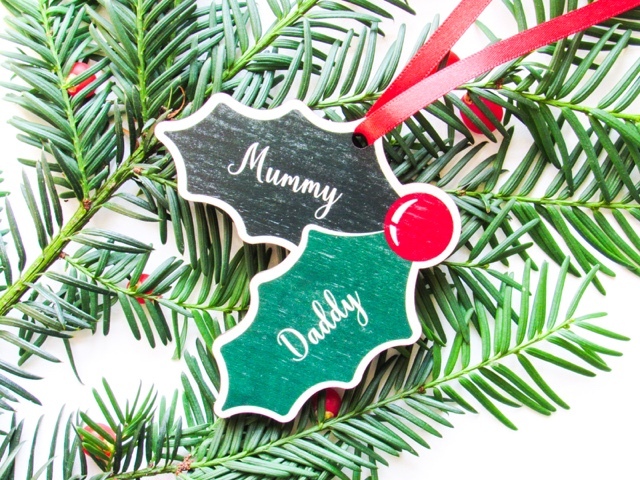 This personalised wooden Christmas Holly decoration is such beautiful quality and doesn't necessarily have to be for a couple. 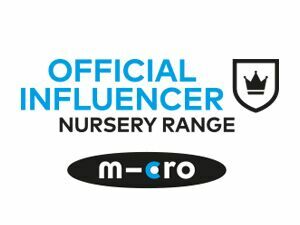 You could personalise it with a friend and her/his pet's name, two children's names, just pet's names or Mummy and Daddy like here. The timeless design means it can be enjoyed on the Christmas tree, but could also be hung in the kitchen or tied to one of creategiftlove's other personalised Christmas decorations to create a family display. 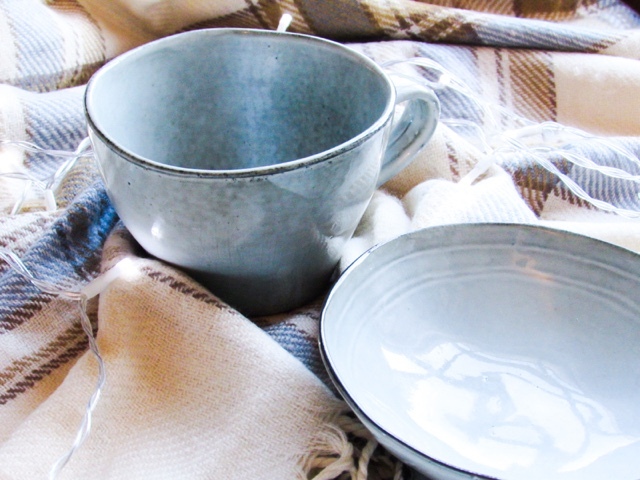 Rustic Mug (£3) and Bowl (£3) from Flying Tiger - The place to visit for affordable gifts, home accessories and those ever random purchases is Flying Tiger. 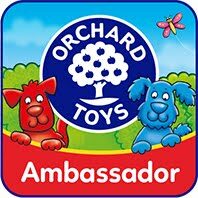 They are popping up all over the world and their ever changing stock is always worth checking out. 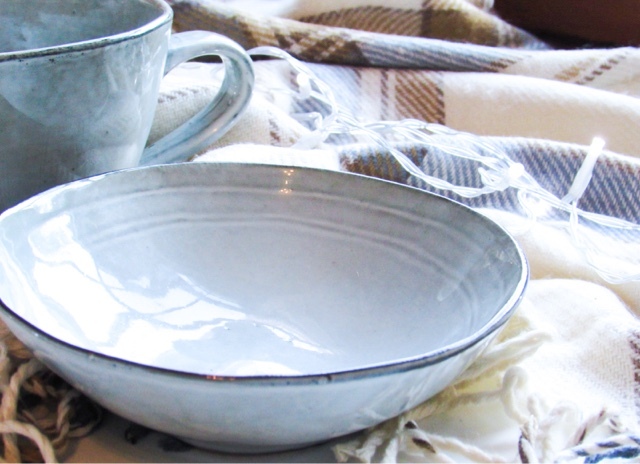 These mugs/bowls are misshapen and rustic, making them a lovely gift for someone special this Christmas. The mug is the perfect size for a hot chocolate topped with cream and marshmallows if you ask me! Scented Candle from Desk Everything (£4.99) - A candle is such a lovely present for pretty much all of the ladies you may buy for this Christmas and Desk Everything has a beautiful range. 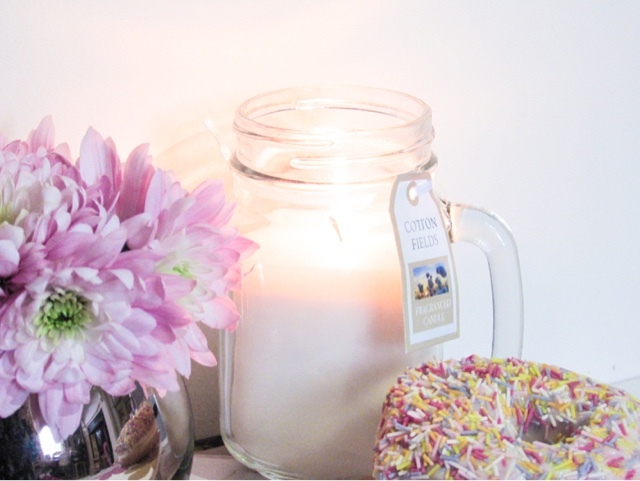 Each candle is in a mason style jar with a handle, is an affordable gift option and the range of scents means there's something for everyone. Also, if you enter the code 'treasureeverymoment' you can get 15% off your order (valid until the end of the year). Oxfam Unwrapped Charity Gifts from Oxfam (from £5) - Giving to charity at any time of year is such a lovely thing to do, but it feels especially important around Christmas time. There is so much money spent on our loved ones that it is nice to take a step back and appreciate the wider picture. 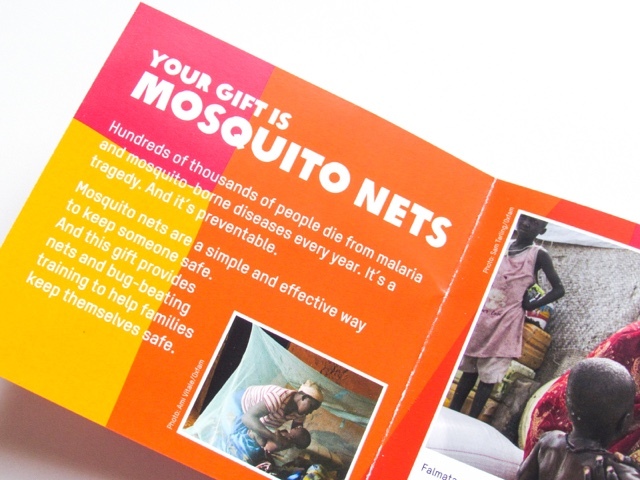 Oxfam have a range of gifts that are essentially donations towards different things that will make people's lives easier, healthier and happier. 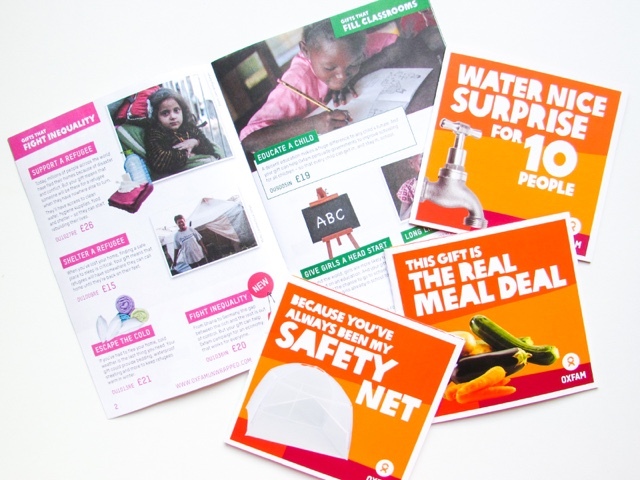 These include: feeding a family, educate a child, a pig, solar energy and safe water. 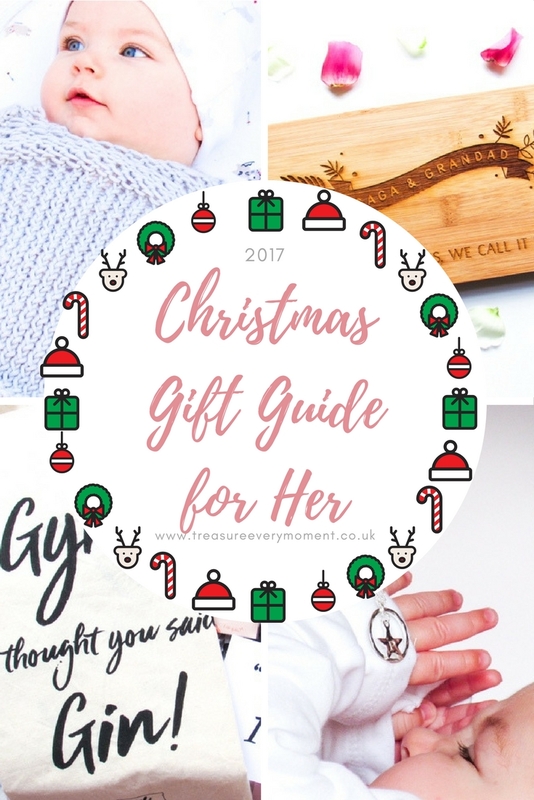 I have also put together a Gift Guide for Babies, Toddlers, Children and Him, if you're in need of more inspiration. What are your top gifts for her this Christmas? 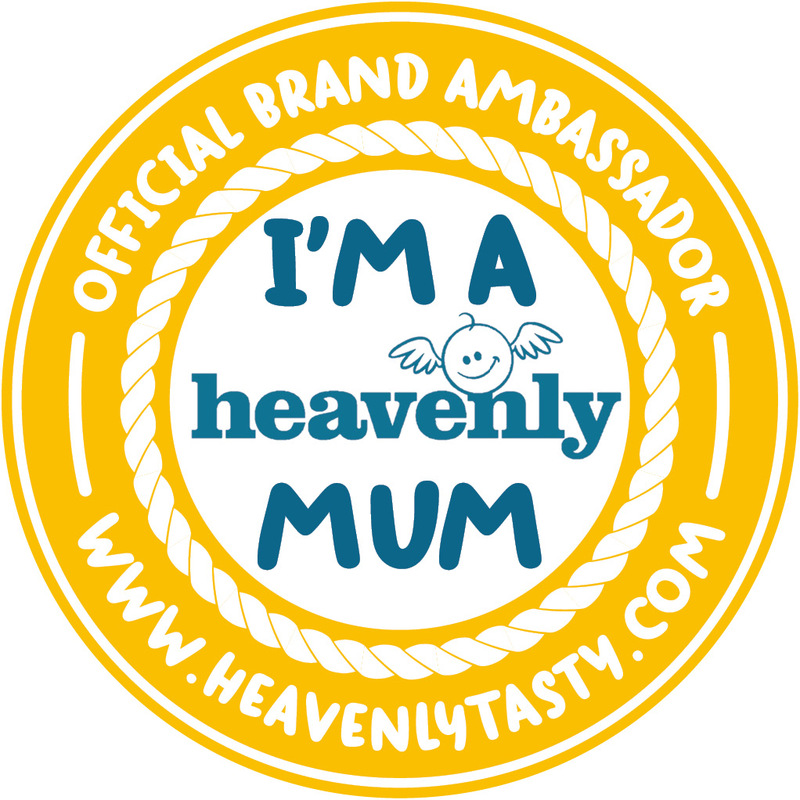 I'm linking this post up with #ablogginggoodtime and #TwinklyTuesday. So many lovely ideas Helen! I love the necklace, it's beautiful, and such a lovely thing to hold onto for Poppy and give her later on. 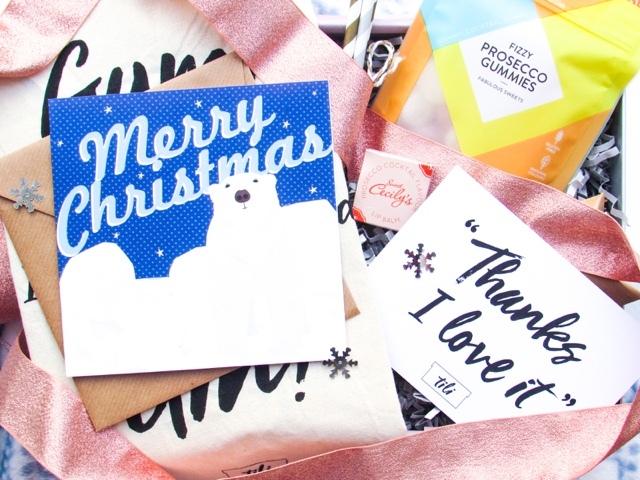 The personalised Christmas decoration is exactly the kind of thing I'd have on my tree, and I love the Lush Box too. I'd be chuffed if any of these found their way to me on Christmas morning! Some beautiful gift ideas here Helen. Beautiful photos :) I would love the necklace. Brilliant. Some great ideas for gifts in here. I'll certainly be using this as a guide when I start shopping this year! I love the wooden christmas Holly and the oxfam gifts, they are so special. I would love it if people gave to charity rather than buy me shower gels and smellys that I don't need, so many more people in need. Some lovely ideas here for Christmas. I really like the mug and bowls and well done to Oxfam for using fun packaging to add humour to their donation gifts. 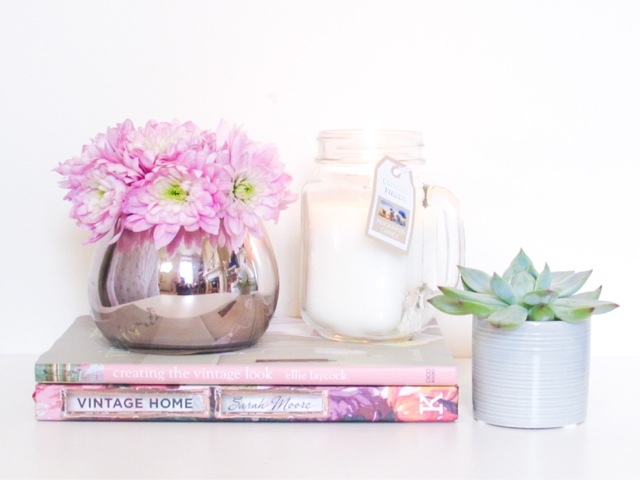 Gorgeous gift ideas! I LOVE the star necklace, I will be sending that link to my husband I think! I absolutely love the look of that set where you knit a jumper. Such a lovely idea! Some great ideas here. Prosecco gummies? Yes, please! I’ll have them all please. Although not sure I could knit as well as you!! Talented lady! Lovely gift ideas here. The wooden serving board looks fab. Oh this is a REALLY lovely selection of gift ideas - I particularly LOVE the knitting kit for the sweater. That's GORGEOUS. Looks like a nice loose knit too so quick to put together. I'm really impressed.